I have started a quest this year, to read through the Kings of England, it will most likely take a couple years, but what an adventure it will be. 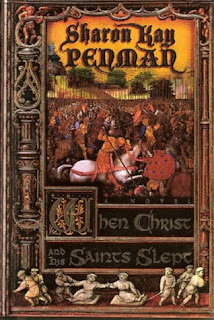 What better way to start then with King Henry I and Sharon Kay Penman (though he isn't around for long). It was medieval England’s immortal marriage—Eleanor of Aquitaine and Henry II, bound by passion and ambition, certain to leave a legacy of greatness. But while lust would divide them, it was friendship—and ultimately faith—that brought bloodshed into their midst. It began with Thomas Becket, Henry’s closest confidant, and his elevation to be Archbishop of Canterbury. It ended with a perceived betrayal that made a royal murder seem inevitable. 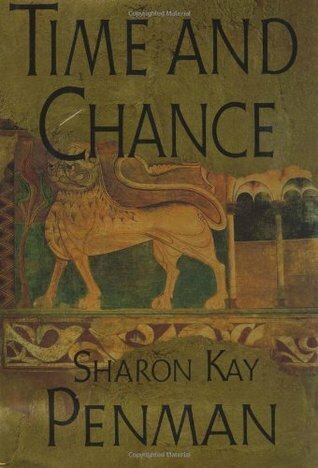 Along the way were enough scheming, seductions, and scandals to topple any kingdom but their own. . . . 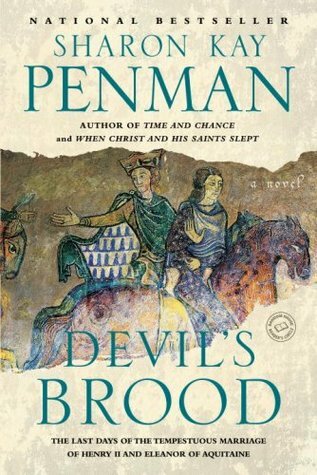 The long-awaited and highly anticipated final volume in Penman's trilogy of Henry II and Eleanor of Aquitaine, a tumultuous conclusion to this timeless story of love, power, ambition, and betrayal. 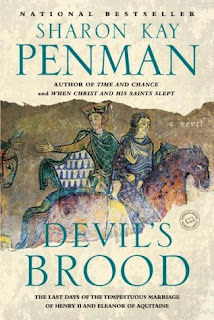 Where the second novel in the trilogy, "Time And Chance," dealt with the extraordinary politics of the twelfth century, climaxing with the murder of Thomas Becket and Henry's confrontation with the Church and self-imposed exile to Ireland, "Devil's Brood" centers on the implosion of a family. And because it is a royal family whose domains span the English Channel and whose alliances encompass the Christian world, that collapse will have dire consequences. This is a story of betrayal as Henry's three eldest sons and his wife enter into a rebellion against him, aligning themselves with his bitterest enemy, King Louis of France. But it is also the story of a great king whose brilliance forged an empire but whose personal blind spots led him into the most serious mistake of his life. I have decided to do this blog posting with all 3 books. First off, these are huge books, almost 2200 pages total. Usually when I read a big book I need a break, time to read some smaller books, clean my head before I dive in again. With this series I read all 3 back to back, all ebook editions. 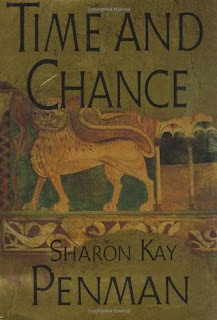 I was drawn to the first book by the title alone, how intriguing, what did it mean? 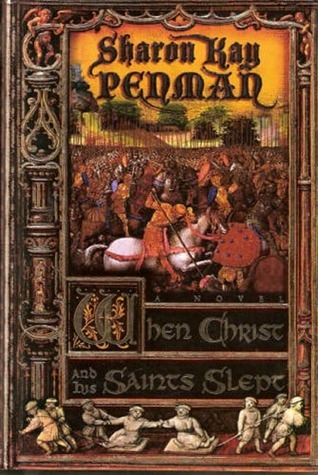 Of course once I read it, it was plainly obvious, that period in history, the fight for the crown that left people wondering if Christ and His Saints slept? It also left me very grateful to be born when I was. This is also a new author to me and is now a favorite (made my day when she became my friend on facebook too). There is a writing style that is so easy to follow, even when getting used to with who was who and what side their were on again. These books are so full of history that I can't even phantom how much time the author spent researching and writing, rewriting and most likely rewriting again. For me this is a period of history that I know very little about and what an adventure it was. The only part I was disappointed with was Ranulf, the only fictional character and I loved him. I laughed at his early adventures with the nuns and smiled at his love story, a wonderful addition to the story.. 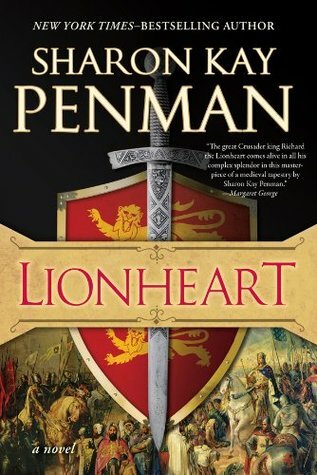 I loved this series and will be reading the Welsh series as soon as I finish Lionheart.